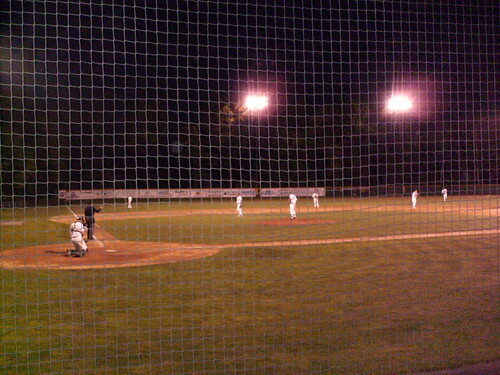 The view from behind home plate at Goodall Park. The view from down the first base line at Goodall Park. 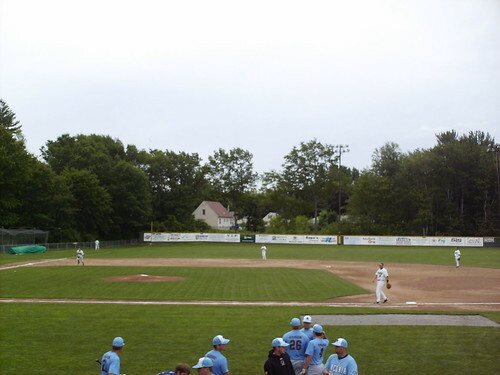 There's a small hill that rises up to meet the fence in left field. The view down the 3rd base line at Goodall Park. 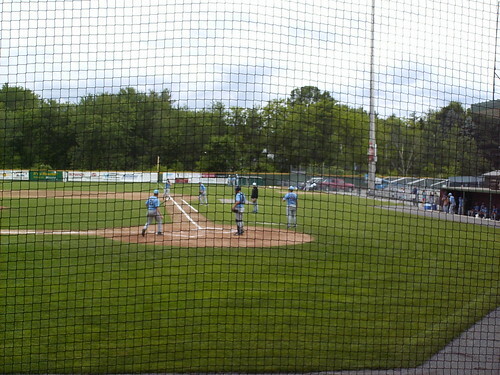 3 of the 4 outfield light stanchions are inside the field of play. 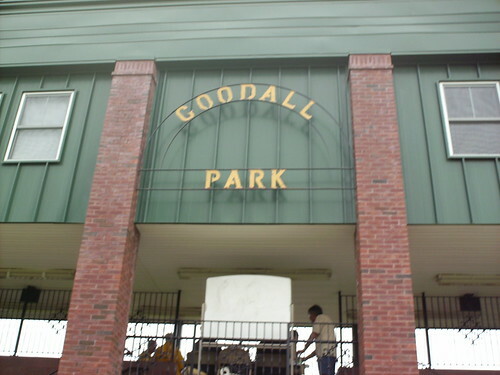 The Grandstand and press box at Goodall Park. 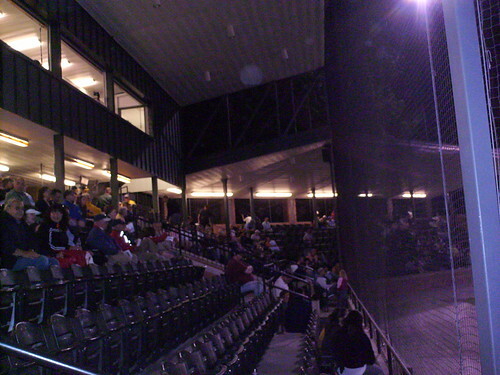 Lights under the grandstand, and the pressbox at Goodall Park. 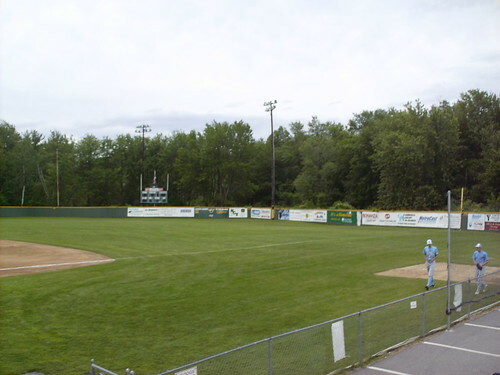 The park includes a large expanse of foul territory, especially behind the plate. 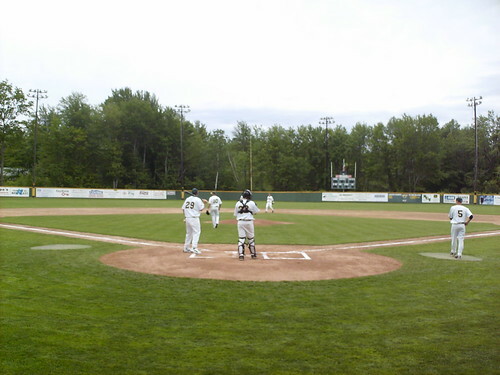 The Sanford Mainers on the field at Goodall Park. 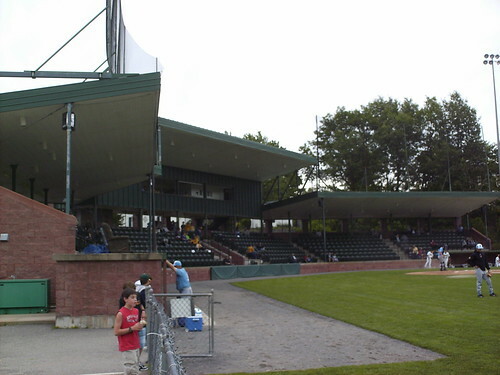 The park was built in 1915 and in 1919 was host to Babe Ruth's final game in a Red Sox uniform, an exhibition game with the semi-pro Sanford Professionals.